Mission papers can be filled out with the physical paper application forms, or in many parts of the world young people, bishops, and stake leaders can complete the mission papers online. The Church refers to this online mission papers website as the Missionary Online Recommendation System, and it can also be accessed at lds.org/mss. The online process is similar to the offline process in most respects except that the information is put in the internet-based system rather than the paper mission application form. In order to log in and get started with the online mission application, a prospective missionary needs to have an LDS Account. LDS Account is the username and password you use to access personalized tools on LDS.org such as your ward and stake calendar and directory. If you don’t have one, go here to register for an LDS Account. You will need to know your Church membership number, which you can get from your ward clerk, to complete the process of getting an LDS Account. When you are ready to begin the process of getting your mission call, talk to your bishop and he will log into the mission papers website and make it so you can log in. Even with an LDS Account, if your bishop hasn’t granted you access, you cannot get into the Missionary Online Recommendation System. Once you’re in the online missionary application system, you’ll be able to fill in all the paperwork electronically for your bishop and stake president to see. Once your application has been sent to Church headquarters (by the stake president), you’ll be able to log into this same online system to track the progress and status of your mission call. Good luck. Let me know if you have any questions. And God bless you in your mission preparation. Hi jimmy, I am wondering how much time before my son actually turns in his mission papers that he can go to the doctor to get all his work done I.e. Physical etc for his papers? The doctors’ visits need to take place, at the most, within one year of submitting his papers. If it has been more than a year, you’ll need to go have them re-done. If you submit doctor’s physical forms that are close to a year old, it may invite increased scrutiny and the church could ask you to go do them again. But if you anticipate turning in your papers in the next 3 to 6 months, I’d say go ahead and get the doctors visits done. That would be one less thing to worry about. Good luck, and God bless. I think you’re going to need to talk to your bishop about this. I believe he can give you the access you need. I submitted my papers online about 4 weeks ago. How long does it usually take to get feedback? Karina, usually it takes about 4 weeks, so you should be getting your mission call packet any day. Congratulations. Please let me know when you get it and where you’ll be going. God bless. Im having the same problem with joshua cunnold. Do I need to renew my passport if it expires on June 2014 and I filling out my paperwork today? If you are filling out your paperwork now, it is quite possible that you won’t leave on your mission until the spring of 2013. Therefore, I would definitely advise that you renew your passport now so it doesn’t expire while you are on your mission. how do you really know if your ready or even worthy for a mission i would love to serve but am worried that i’m not worthy because of past choices, and i would hate to ask my bishop and have him laugh in my face…..
A couple of things come to mind. First a quote from Elder Tad Callister of the Seventy, about talking to your bishop about worthiness issues. “I can honestly say that as a priesthood leader, I never thought less of a man or woman who voluntarily, humbly confessed. To the contrary, I rejoiced that they were trying to put their lives in order.” Second, with regard to knowing if you are worthy and ready, check out my article called What Does It Mean to Be Worthy to Serve a Mission and also one called Requirements to Serve a Mission. Good luck and God bless you in your decisions. I have an LDS account and I can log into lds.org as well as my institute’s website to register for institute classes, but for some reason nothing happens when I try to log into the online recommendation system. It starts to act like it’s going to load something, but when it loads it’s just the login screen, but it doesn’t say there’s an error or anything. Anyone else have this problem? I keep trying but it just loads the same page over and over again. Aubri, Even though you have an LDS Account already, your bishop has to enable you to get into the online missionary recommendation system. Has your bishop granted you access yet? If your bishop has given you access and you’re still having these problems, then you ought to call the Church help desk 1-801-240-HELP(4357) and they should be able to help you out. Good luck. I have already created my LDS Account and I already talked to my Bishop but the problem is that my Bishop’s account cannot log-in also. I realize this is years old, but at a minimum I would say information about health conditions he currently has. They’re mostly, after all, going to use this physical to determine your son’s ability to serve a full-time proselyting mission. I have set up a user account to start filling out my mission papers. When I try to login it doesnt let me. Does this problem have anything to do with my birthday being to early to start the process?? Generally, that means that your bishop hasn’t enabled you to log in yet. Talk to him and I bet he can make it so you can log in. why is that I can’t receive a verification on my mail? My comment above is referring to the Missionary online Recommendation system. Iv been inspired to serve my mission. I am a female, 18 yrs and living in Australia. I was wondering how much it would cost to serve a mission?? 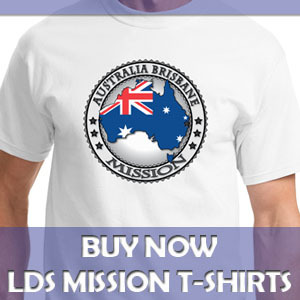 I don’t know the cost of a mission for someone from Australia. Sorry. If you find out, please let me know. Thanks. For a full-time proselyting mission, the Church has set the cost at $400 regardless of where you serve. A full-time proselyting mission for young people in the United States is $400 US dollars, that is true, but I’ve never heard what the cost is for members living in other parts of the world. Is it whatever the current exchange rate is between 400 US dollars and the local currency or is it a fixed amount? I don’t know what the monthly cost is for an Australian in Australian dollars, or for a Japanese member of the church in Yen, or Philippines members in Pesos, etc. I only know that for US residents, it’s $400 US dollars. If anyone knows the cost of a mission for people in other parts of the world, in their local currencies, it would be nice to know, so please share. Thanks. I have already turned in my papers and online papers how long do i usually get my Mission Call? Hi, I just wanna ask if what shall I use in printing, is it long or short bond paper? and I have problem in printing, I cant save it to microsoft word or to document, it was only saving as webpage. Thanks. Hi, how long can it take to prepare and go on mission. I am unable to log in to the missionary recomendation system. I opened the account the end of novemember and haven’t had problems before. It says that the user name and password is incorrect. I am able to log in to my membership account. I know it’s the right user name because I can log into the membership account. Let me know if you know anything. Thanks! 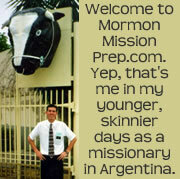 Is there any way to get a “hard” copy of the Missionary Application for senior couples? Would just like to get a preview of the information my wife and I will need to provide. Thank you. Hi! I have been working on my mission papers and I will be done with them tomorrow!! So I’m almost done, but I know you can’t turn your papers in until 4 months before your 19th birthday. For me, that will be February 22nd. So I was just wondering, is your Bishop the one who send the papers to Church Headquarters or does it send when I submit them online? Please let me know:) because I don’t want to turn them in early not knowing and then have them rejected. It actually is 120 days (4 mths) prior to your AVAILABLE leaving date. Upon submitting your papers online, it will go to your Bishop, then he will send it to your Stake President and then it will go to your Area Presidency. Upon there it will be either sent back to change anything (i.e. change mistakes) and then if not sent back it will go over to Salt Lake. Hi I’m about to fill in my doctors forms and I was wandering do you know after I get my injections and get checked out and stuff do I have to pay straight away or I can pay when I have the money? I’ve had mine and you have to pay before getting it done. For me, my injections cost £15 each with regards to the Hep A & B, all of which have each have to be paid before getting done. Your physical examination will cost depending on your GP. If you know a Church member who is a GP…USE THEM! The costs can begin to increase massively. For example, a friend who went on his mission who lives in the same ward paid just £20, however for me it cost £180. Nancy, are you talking about your monthly payment as a missionary for the cost of your mission? If so, I believe that payment begins in the month that you start your mission. Check with your ward clerk for more details, as your monthly payment is made at the ward level. So, do we know what the time frame process is now that everything is done online? pp Jason mentioned that once the Stake Pres. submits the papers, they go to the Area Presidency and then (providing everything is in order) send them to Salt Lake. What is the typical turn around at the Area Authority level? Just curious because our Stake Pres. submitted my DS’s papers last night, so I was wondering when to start having him check online for the status. Update: We received my son’s papers yesterday in the mail. The call was made last Tuesday 2/17. He has been called to the Equator Quito Mission and is to report directly to the Columbia MTC. I need to re-read the paperwork again, but I didn’t see anything about how we are supposed to get him to Columbia. Do you know if the church will send any directions on how to book the flights to the Columbia MTC? How he will get from the airport to the MTC location? If someone know more about reporting to a foreign MTC, please share. Teresa the church books all the flights and will send a travel itinerary via email a month before he leaves. I’ve completed the online recommendation system but I can’t submit it? Hello! I have already submitted my online application to my bishop. The thing is after I have submitted it I just found out that there are some mistakes that I forgot to change. Is it possible that I can like edit it? And also, can I change the photo that I have uploaded? Thank you so much! Yes, if your application has not yet been submitted to church headquarters, then changes can still be made to the application. Just talk to your bishop or stake president and they will be able to help you make those edits. Good luck, and God bless you. I recently finished my mission papers but wasn’t able to fully submit it because of weight issues? But, what if my doctor has signed me off that I was good to go. Is there any other options, I’m sure I would lose a lot of weight where ever I go with biking or walking. Or is it fully up to my bishop? Malia, I wouldn’t say it’s fully up to your bishop, but he will play a large part in the decision. Your bishop will likely talk it over with your stake president, and they will determine if they feel right or not about recommending you to be a missionary. So talk to your bishop and tell him your desire to serve and I’m sure he will tell you what you need to do for him to recommend you to be a missionary. Good luck and God bless you. 1) on the forms you print out and give to your dentist, there is a space that needs a “witness” signature. Does that mean my bishop, or another dentist? 2) for some reason I am having trouble rotating and cropping my missionary photo, I was wondering if you have come across this issue before. 1) that refers to another person in the dentist’s office. 2) it could be a browser issue. Try all the major browsers (Chrome, Firefox, IE) to see if it works. My daughter just submitted her papers, and the Stake President says he sent them. Can she track their progoress i.e. submitted, call issued, call sent, from her login or is that something only the Stake President or Bishop can see? The same happened to my son. He has in red letters “recommendation has been submitted,” and we can’t figure out what that means. He may have to lose weight to be able to serve, and timing is important because of school schedules, so we are waiting on pins and needles. Any idea what the phrase means? Same thing is happening to me. Some answers, please? how to know if my papers are already in the headquarters ?? or in the presidency ? How do I change my doctor paper in english, they are currently in spanish but I need them in english. Sir, can a pdf of the missionary application form be provieded, i mean is it avaialble online. ?..i am planning to serve a mission after 2 years from now.But i would like to know what all the requirements i need to fill especially in the mission papers. how to sign up in lds account? I had already done my medical and dental checkups abwt two months ago and up to now my online recommendation hasn’t been sent, will the medical and dental papers still be valid then???! I’m not 100% sure, but I think your medical and dental evaluations are valid for one year. Is there a specific way to do the document scanning? Can I just take a picture of my license and passport? Are they supposed to be in B&W or color? What happens if you move after submitting your mission papers and need to fly out of a different airport than you listed on your missionary paperwork? Jenny, That shouldn’t be a problem. They don’t make the flight arrangements until after you get your mission call packet and you send in your letter of acceptance. You will work with the missionary department to schedule a flight that works for you. Good luck and God bless. I think the best thing to do would be to go talk to your bishop and express your desire to serve a mission. He will know what to do and will counsel with you on what you should do. God bless!